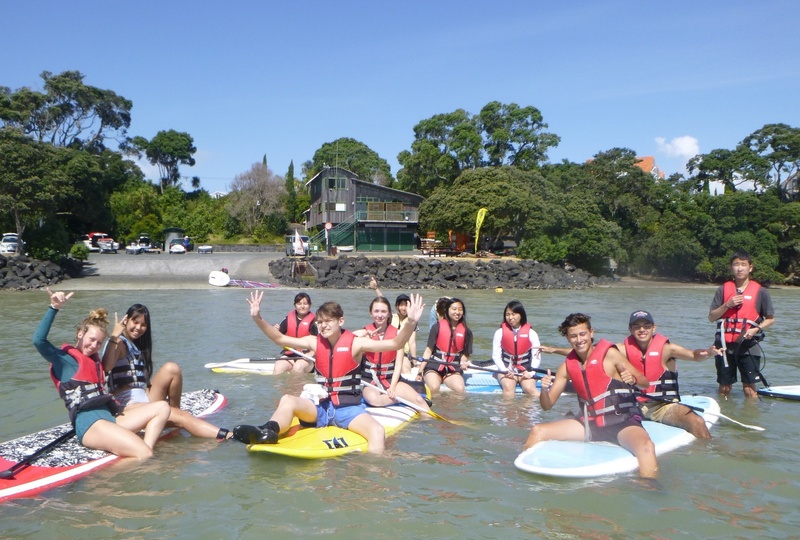 During the past two months, a big group of our international students have been attending the windsurfing and paddle boarding activities on Pt Chevalier beach at the weekends. 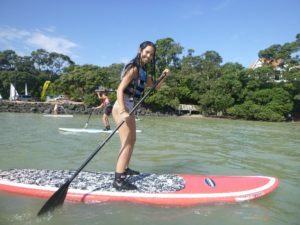 For most of them, it was a completely new experience, and they enjoyed these fun filled activities in the lovely Kiwi summer weather. Sadly, we had to say good-bye to our Term 1 leavers. 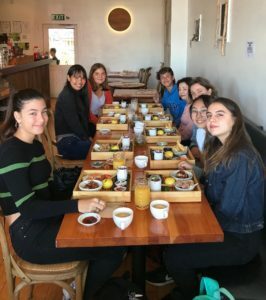 We had a farewell lunch in the last week of the term and the students shared stories and memories from the time at Western Springs College and in New Zealand. We wish them all the best in their future. Here are some stories from some of our leavers. 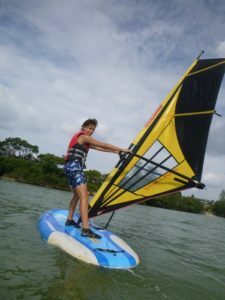 I really enjoyed and appreciate the trips and activities we did, for example, the Bay of Islands trip and the week we had the competition in groups in the City. I learned and have grown a lot here. I am thankful to all the people who made my stay in New Zealand unforgettable. My favourite subjects at Western Springs College were Dance, PE and ESOL (English for speakers of other languages). I could do break dance and play various sports in class and I like my classmates and the teachers of my favourite subjects. 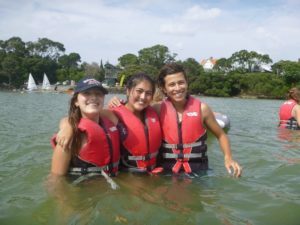 I want to stay in New Zealand longer because I want to study English more and I like my host family. 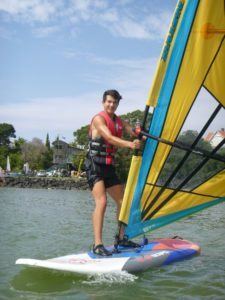 I enjoyed Western Springs College and New Zealand life very much. This is the best experience of my life. I strongly recommend to everybody to do it if they have the opportunity. It helped me a lot in many different ways. I grew as a person and discovered myself. I can say now I’m a better person than the one I was before coming to New Zealand. I started to enjoy going to school because I always had a great time there. Western Springs College is incredible and I love all my classes. My favourite subjects at Western Springs College were Drama, Dance and Art Design because I learned a lot and also. In Chile I don’t have that kind of subjects. I enjoyed learning a lot of subjects, having a Maori school and learning about the school. My homestay was amazing. I had a really good time living there. I am satisfied with my progress in learning and personal development at Western Springs College. Going to a different school in another country has helped me become more independent. I enjoyed getting to know people, trips and the way people communicate with each other at Western Springs College. Being a WSC student gives you a lot of freedom, and teachers don’t act like they are superior to you. My favourite subjects at Western Springs College were Art, Drama and Dance. Geography trip, Drama trip and Dance trip were the most enjoyable experiences. I am satisfied with my progress at Western Springs College as I was learning English more and more every day. I am enjoying my time here, doing new experiences and learning the language.